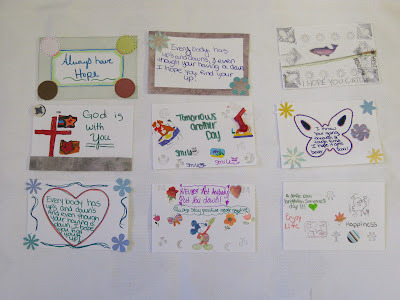 Here are a few of the most recent card donations – lots of them are hand-drawn, which adds a sweet touch to an already-sweet gesture! This one was drawn by a boy who just moved to Arizona from Mexico! 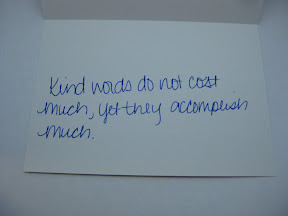 These were store-bought, but the nice people at Norris Management took the time to write little uplifting messages on 80 cards!! 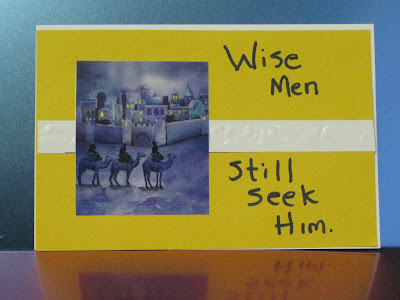 Also, a special belated thanks to Cindy Schaider from the Casa Grande Alliance, who thought of us as she collected a pile of blank Christmas and “everyday” cards to donate! And… after three months of collecting great donations, we finally delivered five stacks of cards to places where smiles needed to be sparked! We sent them off to Casa Grande Regional Medical Center, Pinal Gila Council for Senior Citizens, Deborah’s House, United Way, and Meals on Wheels! 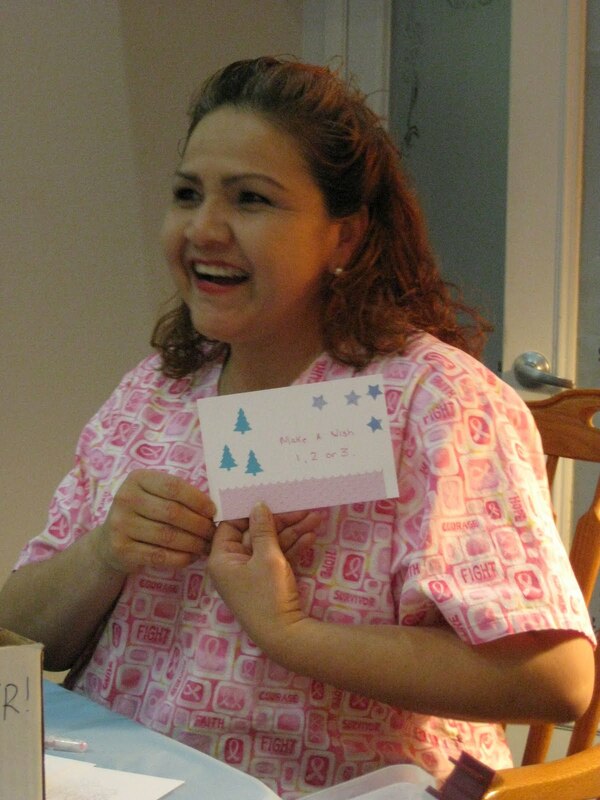 Do you know of any other charitable organizations that could benefit from Spark a Smile? Let us know! 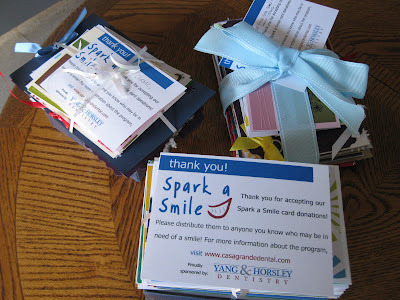 Did you find our blog because you received a Spark a Smile card? Please email us or leave a comment – let us know how you felt when you received your card! We’d all love to hear it! 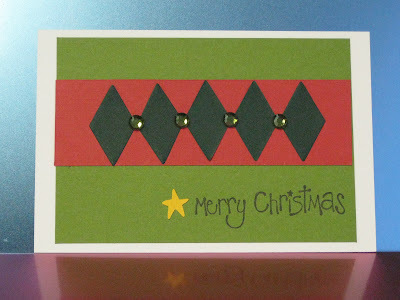 1) Stuff a stocking with scissors, pens, glue, some blank cards, and a few colored-paper scraps. 2) Add a bow (optional). 1) Scissors: You can find them on sale if you’re diligent, but usually about $4 will get you a nice, sturdy pair. 2) Black scrapbooking pen: A nice pen/marker costs about $1.50 at craft stores. 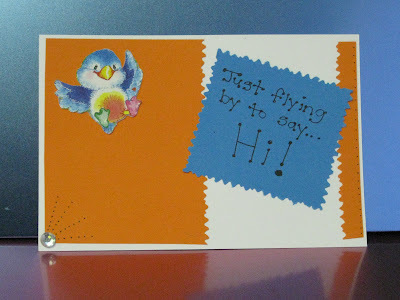 3) Glittery scrapbooking pen: Just for fun! You can get them in value packs or singles, for about $1.50 each. 5) Glue runner (option #2): A dry adhesive that doesn’t get messy. A dispenser at Walmart is about $3.50, refills approximately 75 cents each. 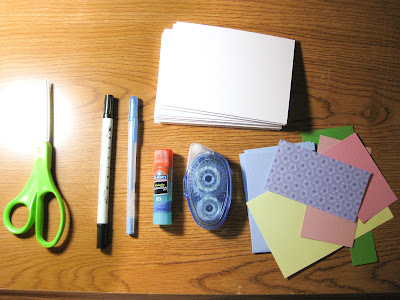 7) Colored paper scraps: Share from your stash! This varies, so keep an eye out for good sales and never underestimate the power of recycling junk mail or old cards! Merry Christmas!!! Go spread some holiday cheer. See you January 9th!! 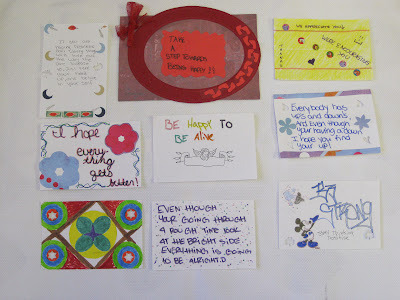 What a successful second card-making party we had last Thursday – we made over 50 cards that night!! 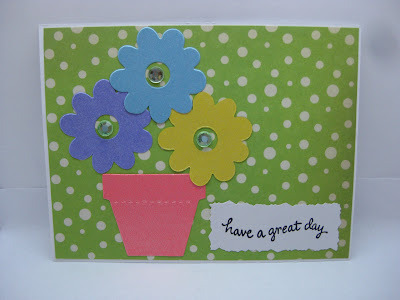 some people swore they weren’t crafty, but made their very first card, EVER!!! 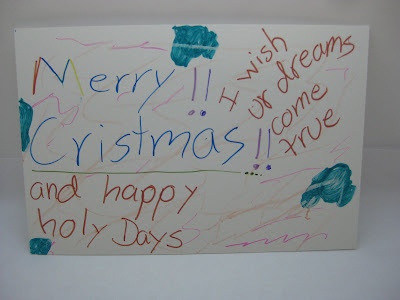 She ended up making seven cards that evening!! How exciting!!! Click HERE to see the rest of our creative results! What about you? Ready to join the fun? Come join us on Saturday, January 9th, from 10AM-1PM. It’s the perfect way to unwind from the holidays! WOW!! 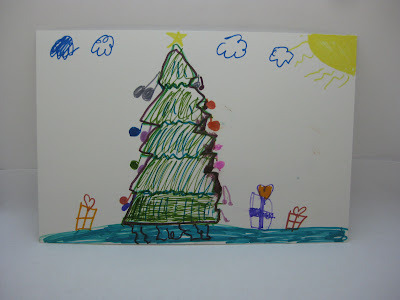 Take a look at some of the *182* cards that were donated by the kids at Pinnacle High School! 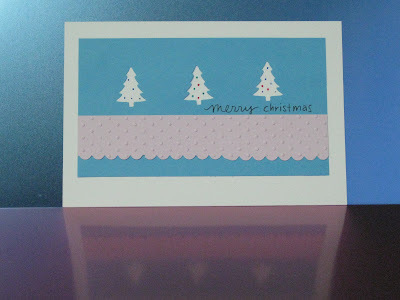 Thanks so much to Tamara S. for coordinating the card-creating classes, and for delivering the cards this week. 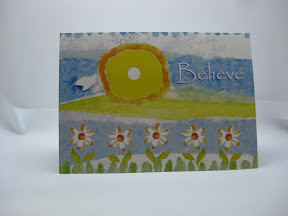 Click here to see the rest of their amazing, encouraging artwork!! P.S. Want to see some of these cards in person? 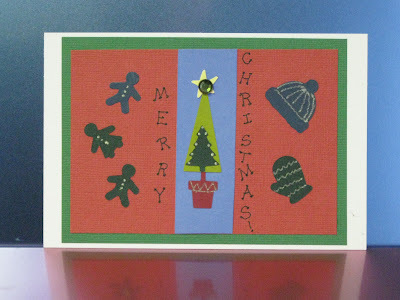 Come to our card-making party on Thursday, December 3rd, from 5 – 7 PM!